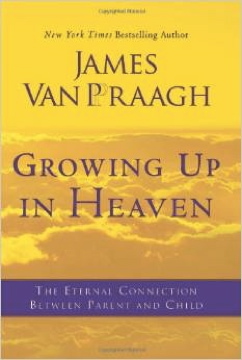 In Growing Up in Heaven, New York Times bestselling author and world-famous medium James Van Praagh brings to light the amazing journey of children who have passed from earth to heaven. Growing Up in Heaven follows the path of a child’s soul—their time spent in heaven and their connection to the living. In this, his most moving work, Van Praagh reveals the reality that love transcends the physical and material planes of this world. Growing Up in Heaven lifts our spirits with the knowledge that our departed ones will always be with us—an extraordinary gift for all of us who yearn to understand life on the other side.